Earth, Fire, Air, Water – In ancient Hinduism, these four elements are associated with the five senses and act as the medium for the experience of sensations. The basest element, earth is created using all the other elements, can be perceived by all five senses – hearing, touch, sight, taste, and smell. The next higher element, water, has no odor but can be heard, felt, seen and tasted. Next comes fire, which can be heard, felt and seen. Air can be heard and felt. There is a fifth element that is a little more ethereal called Void that is sometimes referred to as self or consciousness so as you let the air dry this full body masque, incorporate the fifth element by relaxing, meditating and letting your consciousness drift. 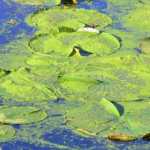 Klamath Falls in Oregon – a region renowned for the purest, most nutrient intact algae available in the world. 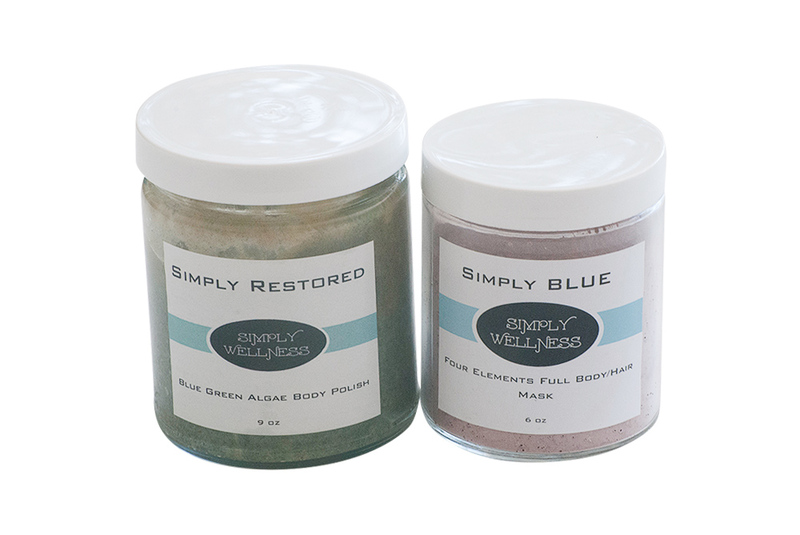 This is where the incredible Blue-Green Algae in Essential’s Blue Green Algae Body Butter Polish comes from. This amazing, single-celled organism, which is found in a remote area of the Oregon Cascade Mountains, is wild-harvested and certified-organic. It is highly bio-available and contains a full spectrum of minerals, chlorophyll, B vitamins, beta-carotene, pro vitamin A, lipids, active enzymes, essential amino acids, nucleic acids, plus DHA & EPA fatty acids. All this is wrapped into the finest butters, oils and gently exfoliating mineral salts, which will leave your customers skin unbelievably soft, supple and deeply moisturized. Blended with the fresh nuances of Japanese mint oil, Atlantic sea salt, and several butters, you receive the ultimate body scrub experience. 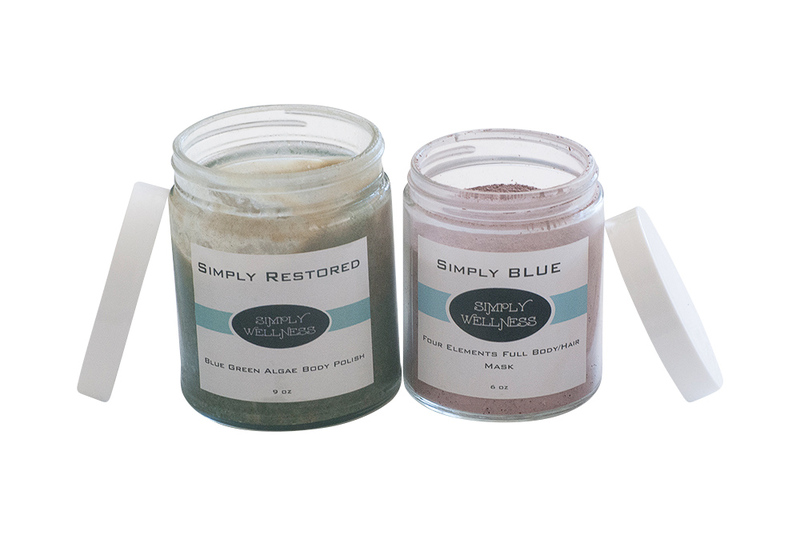 Simply Restored is richly soothing for dry irritated skin, and will provide a purely beautiful exfoliating ritual. We are confident that this is the ultimate in body polishes – there is nothing more beneficial or unique. Everything we create contains the finest organic all-natural and food grade ingredients. We are LEAPING BUNNY certified and take pride that all of our products are made with NO animal testing. All of our oils are cold pressed or steam distilled, the best extraction methods available for premium quality oils. All products are free from chemicals that harm, damage and AGE the skin – organic – 100% natural – no chemicals – paraben free – no synthetic fragrance – hypoallergenic – no propylene glycol or derivatives – no sulphates – no water. 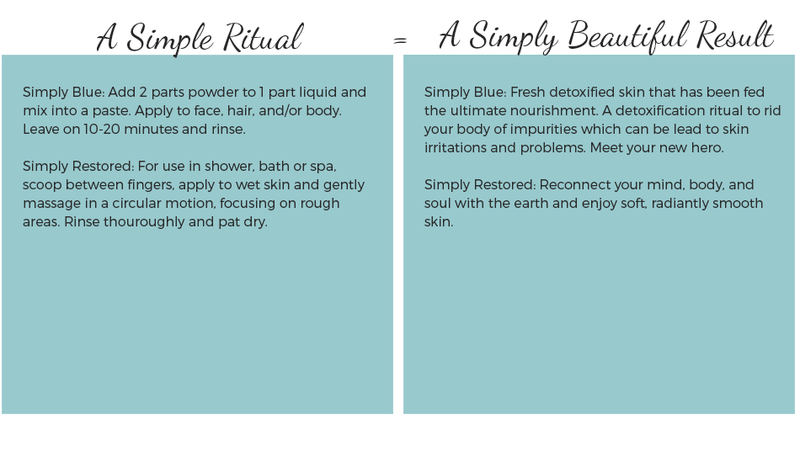 We trust in the perfection of nature to give your skin the nutrients it deserves. It’s time to get back to that bare-faced natural glow. Feel free to use any of our products on babies, they are that safe. Handcrafted in small batches and made with love in the USA. 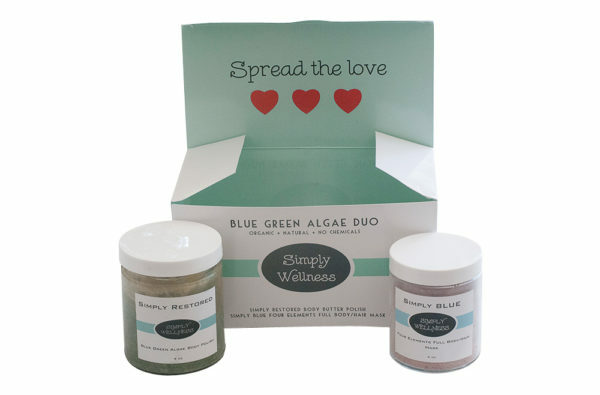 Blue Green Algae: Our organic blue green algae comes from the Klamath Falls in Oregon. It is the purest, most nutrient intact algae available in the world. It is a wild harvested organic certified single celled organism which occurs in the remote area in the Oregon Cascade Mountains. It is highly bio-available and contains a full spectrum of minerals, chlorophyll, B Vitamins, Beta-Carotene, Pro Vitamin A, Lipids, enzymes, essential amino acids, nucleic acids, DHA and EPA fatty acids. 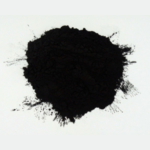 Activated Charcoal Clarifying Powder: Its purpose is to help trap the toxins that are in the body so that they can be drawn out or flushed out through other means, in order for your body to stop absorbing them. 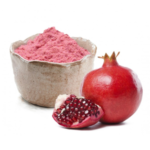 Pomegranate Powder: Non-GMO Pomegranates are jam packed with vitamins, but the most important benefits of pomegranates are antioxidants. Pomegranates contain three times as many antioxidants as red wine and green tea making this a powerful ingredient in keeping skin looking its youthful best! Mango Seed Butter: Expeller pressed and refined from the seed kernel of the Mango tree, this highly prized butter is an exceptional quality base ingredient. Mango butter has natural emollient properties; it has traditionally been used in the rain forest and tropics for its moisturizing and smoothing properties and is a great source of essential fatty acids, and has incredible moisturizing properties. 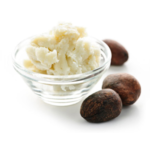 Shea Butter: Shea butter is full of antioxidants and nutrients, including Vitamin A, which has many healing properties and has been known to aid in treating blemishes, wrinkles, eczema, and dermatitis, as well as burns and even stretch marks. By combining the shea butter with the tallow, you get a luxurious velvety lotion which benefits your skin from a variety of aspects. Kokum Butter: Our Kokum butter is derived from the Garcinia tree and is expeller pressed and refined. 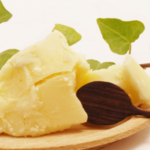 It is more emollient than most butters, possesses natural healing properties, has a uniform triglyceride composition and promotes regeneration of skin. Kokum butter has been known to help prevent drying of the skin, help heal ulcers and heal fissures, helps regenerate skin cells and reduces degeneration of skin cells, contains 80% stearic-oleic-stearic triglycerides, and contains antioxidant properties. 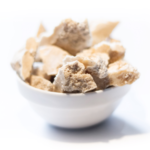 For more information regarding our ingredients, please click here. PS…please do not use this product if you are allergic to any of these ingredients. WARNINGS: Avoid use on any cuts or delicate areas. Remember to not put salt in an open cut. Do not exfoliate if skin is sunburned or irritated for any reason. Be careful not to fall on wet or slippery areas caused by using the scrub. Avoid using all body polishes on the face. There are currently no testimonials for this product. 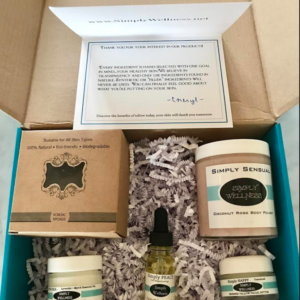 Sign up and be the first to hear about new arrivals and special promotions, plus get all the latest news from Simply Wellness. We’ll even send you a promo code for 15% off your first order.